1. Charger is dedicated, and shall not be replaced at will. Parameters of chargers equipped for different vehicle models are basically different, so the chargers shall not be replaced at will in case of uncertainty. If charging in two places is required, then it is better to equip the other one original special charger of the company. 2. Protect the charger well. 3. Frequently charge the battery. Even if your full charge endurance is not long, and the battery can be used for 2-3 days after being charged, we still suggest you charge it every day, accordingly, the battery will be made shallow circulation state, and the lifetime of the battery may extend. Some users early using mobile phones think that the battery shall be charged after being basically used up, the opinion is wrong, the memory efficiency of lead-acid battery is not that strong. 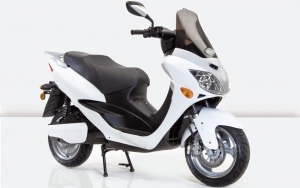 Usually charging the battery after fully discharging is of great influence on the lifetime of the battery. After the indicator light of the charger changes to indicate that the battery is fully charged, actually electric quantity charged into the battery may be 97%~99%. Though there is only 1%~3% of electric quantity lacked, the influence on the full charge ability can be ignored, it may also form insufficient charging accumulation, so the battery is better for continuous floating charge as far as possible after indicator light of the charger indicating full charge changes, and it is beneficial for restraining battery vulcanization. Floating charge basically may not consume the power. 4. Timely charge the battery. The vulcanization of battery starts after discharging, and generally obvious vulcanization crystallization occurs starting from 12 hours. Timely charging can eliminate slight vulcanization crystallization, in case of untimely charging, these vulcanization crystallizations will accumulate and gradually form thick crystallization, thus gradually resulting in decrease of battery capacity, shortening the service life of the battery. Therefore, except daily charging, also pay attention to timely charging the battery after using up to make the battery level full as far as possible. Periodical deep discharging of the battery once is helpful for “activating” the battery, being able to slightly improve battery capacity. General method is that periodically fully discharge the battery. The method for full discharging is that ride the bicycle on the flat road surface under the normal load till low-voltage protection for the first time. 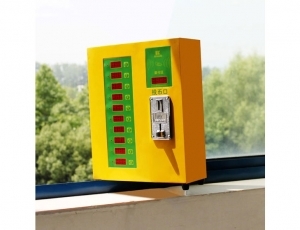 Pay attention to that: we specially emphasize the first low-voltage protection. 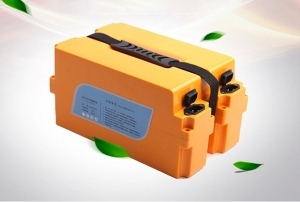 After the first low-voltage protection of the battery, voltage of the battery may rise to recover to non-low-voltage protection after a period of time, at the moment if the battery is reused, the harm to the battery is great. 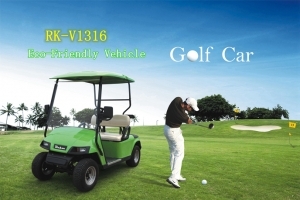 After completion of full discharging, fully charge the battery, and the battery capacity may promote. 6. Form some good habits of electricity saving. Slide as far as possible, and slide in advance to decelerate as far as possible when traveling downhill. Enter into sliding in advance when being to meet traffic lights to reduce braking to the maximum limit. When starting, slowly turn the handle, it may relatively be safe and avoid impact of high current on the battery, and it may reduce power loss and life expenditure of the battery. 7. Pay attention to environment for charging. Special tips: if the battery enters from outdoor low-temperature state into warm room in winter in north China, the battery surface may generate frost and condensed dew. In order to avoid battery leakage caused by frost and condensed dew, charge the battery after battery temperature rises approaching indoor temperature after drying. 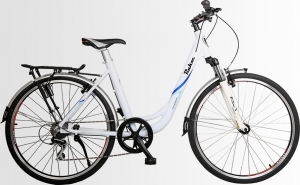 Electric bicycles of the company adopt hub-type rare-earth permanent magnet brushless DC motor with high output torque and high workspace efficiency etc. excellent features. 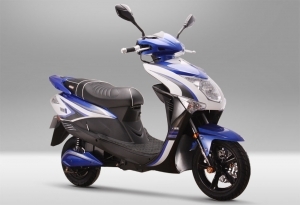 Electric hub is direct-drive type, as the rotor of brushless permanent magnet DC motor, the rear wheel is embedded with rare-earth permanent magnet; armature winding is fastened on the shafting. 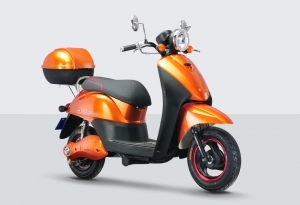 Electric hub may produce certain noise during starting, being normal phenomenon. 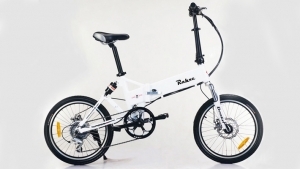 As to the electric hub of the electric bicycle, it is normal phenomenon that the rear wheel is laborious, when the electric bicycle is moving backward, or the electric hub makes slight sound in moving forward. 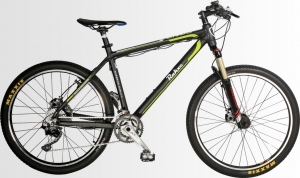 Electric hub needs no special maintenance at ordinary times, when the electric bicycle is accumulatively ridden for 1000 hours; please go to professional maintenance service center for professional maintenance, including inspection of wear state of bearing mechanism in the motor and waterproofness of the shafting etc. 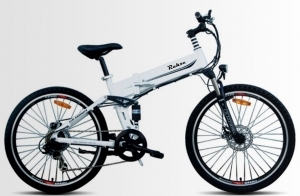 During the use of electric bicycle, pay attention to inspecting the state of fasteners in electric hub installed on the rear fork piece, in case of nut looseness, timely screw down the nuts. 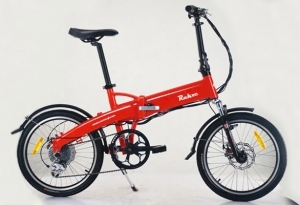 When riding on the road with gathered water in rainy day, the electric bicycle can be normally ridden in case the depth of gathered water does not exceed electric hub axis, and in case the depth of gathered water on the riding road exceeds electric hub axis, it may cause water permeating to the motor, thus resulting in motor fault, please pay special attention to that. 1) High-voltage circuit is included in the charger, so please do not dismantle at will. 2) Do not cover any article when the charger is charging. 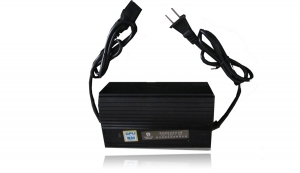 3) The charger is used indoor, and please use it under dry and well-ventilating environment. 4) When use and storage, prevent fluid and metal particles from permeating in the charger, and prevent dropping and striking so as not to cause damage. 5) When charging, please put the charge in safe place where children are unable to touch. 6) When the battery is charged, insert the plug at the output end (low voltage) of the charger into the socket at the battery box opening, and then insert the power plug of the charger into 200V/50HZ AC power supply. 7) It is not allowed to clean bicycle body with battery box when charging. 8) The charger shall be kept with good air ventilation and heat dissipation conditions. 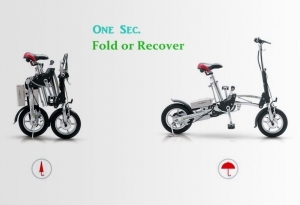 9) The battery can be put on the bicycle body for charging when needing charging, and also the battery can be taken from the bicycle frame by opening the lock of battery box on the bicycle to be charged in the place with power supply. 10) Close electric switch when charging. 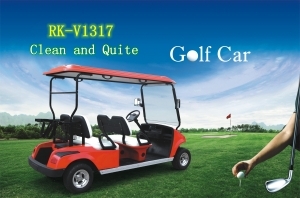 11) Frequently charge the battery and avoid “deep discharging”. When riding electric bicycle, please form a habit of charging the battery on the same day after using the electric bicycle, and supplement the electricity in the battery full no matter how far the distance will be through riding each day, and charge the battery before the electricity is used up. 1. Contact of the battery box exposed outside is electrified, strictly prohibit children touching with hands, as it may cause short circuit resulting in electric injury, and strictly prohibit conductive materials touching contacts at two ends at the same time, as it may cause high current short circuit which may produce electric arc resulting in accidents. 2. Battery and charger under charging shall both be placed in safe place where children are unable to touch. 3. When using and storing the charger, prevent fluid and metal particles from permeating in the charger so as to prevent internal short of the charger which may damage the charger. 4. The charger will generate some heat during working. Never put any combustibles such as combustible plastics or foams under the bottom of the charger; and never cover any articles on or around the charger; please put the charger in a well ventilated environment. If you smell the smell or find the temperature of the charger shell is over high and the shell surface temperature is higher than 65℃ during the charging, please stop charging and send the charge to the maintenance department for overhaul. 5. Never charge the battery with a charger of other brands, and the battery of other brands shall also not be charged with this charger, only if professional test and adaption. When the charger or the battery goes wrong, it is possible that the charger indicator does not change color for a long time (generally longer than 12h), the charger keeps red and the battery generates relatively high heat, please instantly stop charging the battery. The controller has the function of undervoltage, current limiting and overcurrent protection, controls the major loop of the electric bicycle, has a large current and will generate heat. Thereby, try best to be slow and ride steadily and try best to reduce the starting and working current when starting and riding the electric bicycle; when using the governor handle, please be careful and rotate it lightly; do not park the electromobile under the blazing sun for quite a long time and do not get it wet in the rain for a long time, so as to avoid fault of the control. The controller has been adjusted to be the best state when delivery. 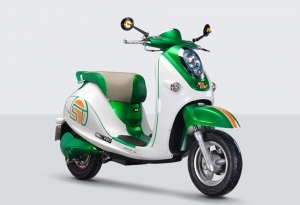 If any fault or runaway of the electrical equipment during the riding, non-professional maintenance personnel can only check the cables and connectors, and should instantly contact professional maintenance point or factory if he can’t solve the problem. 1. 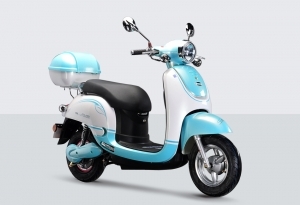 The electric bicycle cannot be put under high temperature for a long time, especially in hot summer, and the burning sun will affect the color and luster of the bicycle paint. And the environment temperature that is higher than 50℃ will affect the normal work of the electrical equipment. 2. Do not ride the bicycle to the hollows. 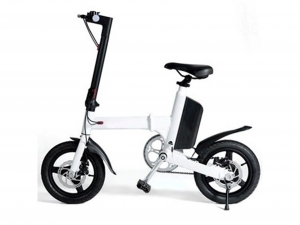 Battery and the electromotor of the electric bicycle weigh 70---80kg and its cyclist weighs 50---80kg, the thin aluminum wheels cannot bear excessive vibration, it may deform or even break, thereby, pay attention to the road condition when riding the bicycle. 3. Never make the battery contact any metal objects in order to avoid the short circuit of the positive and negative electrodes. 4. Prohibit wading into water. When the water drowns the controller cables and motor, short circuit may happen, which may do harm to the electrical equipment. 5. 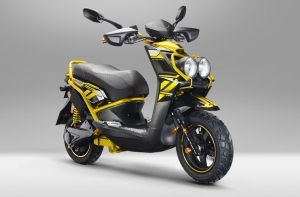 The electric bicycle motor is in the hub of the rear wheel, and power of the battery connects with the rear-wheel motor through right controller with a bunch of wires, be careful of the electric circuit when replacing the rear tyre and disassembling the rear wheel. 6. Full charge endurance of the electric bicycle battery is directly related to factors such as road, load, wind direction, temperature, bicycle condition (brake and tyre pressure etc) and the control mode of the cyclist. 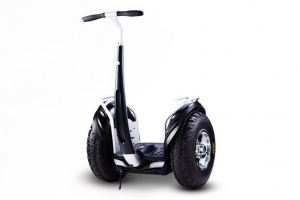 It is necessary to use feet to boost when riding a slope, bearing load and riding against the wind, so as to avoid heavy load discharge of the battery and damages to electrical equipment. 7. When the battery is being charged, continue to charge for 1—2 hours after the indicator light changes to green to make it fully charged. 8. Never connect the no-load charger with the AC power so as to avoid thermal distress of the charger. 9. When the charger is used to charge the battery, never put anything on it, otherwise, it will heat up and cause a fire. 11. Plug the charger plug into the three-hole socket when charging the battery, so as to avoid damages to the charger and the battery. 12. The charger shall be used indoor, excessive vibration may affect the service life of the charger. 13. 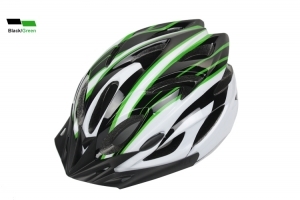 When having ridden the bicycle for half a year, check the front wheel, shaft and gear etc, check whether there are abnormal abrasion or interference, whether the lubricating grease hardens or reduces. 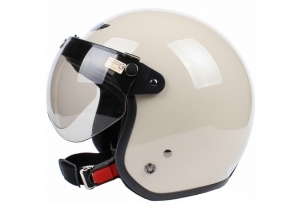 Some manufacturers use inferior lubricating grease to reduce costs, and this kind of grease will harden in winter and lose its due functions, which may wear relevant accessories prematurely and affect riding safety, or even result in burn fatality of the shaft and gear and dangers. 14. Check whether the wire rope, wheels and brake mechanism etc interfere each other or not, instantly deal with the hidden dangers, if any, so as to avoid riding dangers. 15. Regularly check whether the wire rope of the brake is cracked and broken, and instantly replace it. The broken wire rope is easy to water, which may cause the wire rope rusts and breaks later, loses its due functions and runs into some dangers. 16. 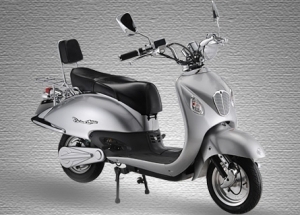 The rear-wheel motor shall not be disassembled and coated with the grease without permission. 17. The obsolete battery shall not be discarded at will, and shall be sent to recycling department according to national regulations. 18. 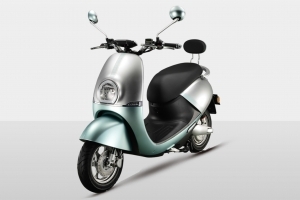 The electric bicycle shall be maintained by professional after-sales maintenance department. 1) When adjusting the height of the handle, do not make the riser safety line out of the front fork lock net. 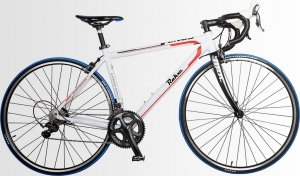 2) When adjusting the height of the saddle, do not make the saddle tube safety line out of the frame central tube. 3) The front and rear brakes shall be flexible and reset quickly with the help of the elasticity of the spring, when the brake is fastened, between the brake handle and the handle grip one-finger distance shall be left, and the brake rubber on both sides and the rim parts that are controlled by the brake shall be parallel, and up and down, right and left deviation shall be the same. 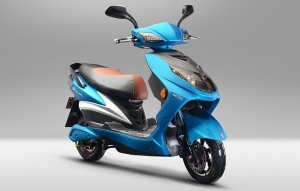 4) Check whether the brake power break device is OK, erect the support, open the electric switch, start the motor, then lightly hold the left brake handle; the motor shall be powered off instantly, and gradually stop running. If the motor cannot be powered off, stop running and ask professionals to make maintenance before further application. 5) When the air is inflated to a certain air pressure, rotate the rim and use hands to evenly knock the tyre, then continue to inflate until the tyre and the rim coincide to avoid skidding during ridding. 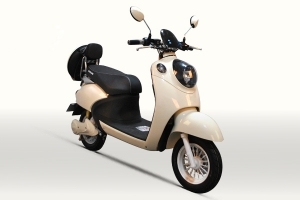 6) The recommended torque of horizontal tube, vertical tube, saddle, saddle tube and front wheel is 18Nm, and the recommended torque of the rear wheel is 30Nm. 7) Before riding, check whether the electric equipment plug and polarity socket of the battery box are loose, whether the electric door lock is flexible, whether the battery box is locked well, whether the horn and the light button are effective and whether the bulb is OK.
8) The height adjustment of the saddle of the electric bicycle shall be subject to the landing of the feet of the cyclist in order to ensure safety. 9) The design load of the electric bicycle is 75kg, so, except the weight of the cyclist, try not to bear too heavy objects, and boost with the pedals when bearing loads. 10) To ensure safety, please open the electric switch of the electric bicycle when getting on the bicycle and timely close the electric switch when stopping or pushing the bicycle, in order to avoid accidents by sudden starting of the bicycle because unintentionally rotating the handle. 11) Boost with pedals when riding up a slope. 12) Never use the motor starting handle and brake handle at the same time, for fear of damages to other parts because of overload of the motor. 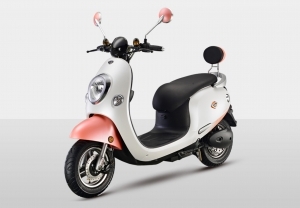 13) The electric bicycle is not adaptable to uneven or steep road, excessive vibration may result in poor connection of the electric equipment, please try best to reduce the speed or get off to push the bicycle, in case of this kind of road condition. 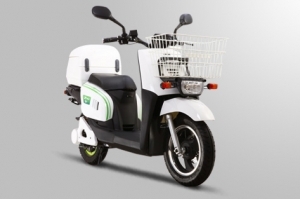 14) In winter, because the low temperature lowers the battery capacity, the discharge depth of the same ridding distance will be deepened; boosting with pedals will help to extend the service life of the battery. Receive the latest Rakxe news, events and promotions.